More than 150 children undergoing heart surgery and catheterization procedures by the Benjamin Bloom Hospital medical team will benefit from the latest donation. 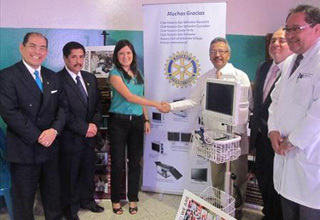 With the support of Rotary clubs in El Salvador and the United States, Latidos de Esperanza Foundation presented a donation to the medical center that includes an operating room table, 3 ICU patient monitors, a monitor for the operating room, a transport monitor and a central monitor system. “We made a donation of medical equipment for Salvadoran children with congenital heart disease. This the first equipment donation in 2013. 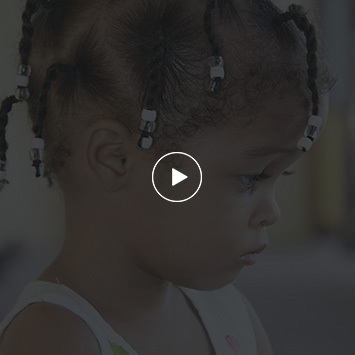 Last year, we invested more than $ 32,000.00 and today again Latidos de Esperanza says this donation is a result of altruistic organizations offering their help. The donation will not only benefit over 150 children receiving care for heart ailments, but also will benefit other children who are treated and are recovering from other illnesses in the ICU where the monitors will be located, “said Executive Director Ivonne Lopez Latidos de Esperanza.